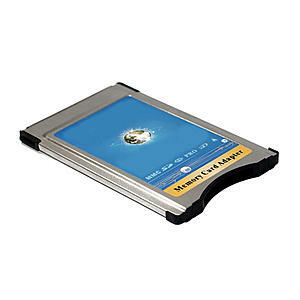 List of PCMCIA adapters and Memory that works. Agree! UMI gets BT audio streaming profile and Traffic (tmc) while MM/COMAND owners get jack. I just bought this and it and works well with my SD and SDHC cards. On mrjsw's recommendation, I'm going to try this one out (the red one) . I ordered the "other" highly available PCMCIA reader (the blue one) and it DID NOT work (No playable files) . woedee, you must have gotten yours by now, how did it go? -- Attached are the two highly available PCMCIA readers for SDHC on eBay when you use search term "PCMCIA SDHC"
It hasn't arrived yet; ordered it last week, and the seller quoted 14 days for arrival. I will definitely report if whether it works or not. Mine took about 2 weeks to arrive. I will also try memory stick tonight to see if it works too. I received the card today and IT WORKS!!! I tried it with my 8gb microsdhc, mmc, and 2gb sd cards - all worked. gald that it works for you too. I picked up a PCMCIA to CF adapter from my local Fry's electronics. Its made by PPA Intl and the label on the box says, "I dot connect". It was 10 us dollars. I paried it with a 4gb CF card and it works perfect. Very fast!! The box claims it will only work up to an 8gb CF card, but I'm going to try a 32gb. This works so much better than the crappy Ipod adapter which we paid 375 bucks for!! I also loaded a couple of DVD-R's with mp3's. Holds almost 5gb and it was pretty fast as well. I had an old Sandisk 6-in-1 PC card Adapter but could only get it to work with 2GB (or less) SD cards on my W204. Works well but I wanted more storage and did not want to switch out multiple 2GB cards (although this would be a workable option). I could also get the newer Sandisk 6-in-1 that supports SDHC but it is hard to confirm that a mail order would get me the newer version (and I certainly do not want another old version). I live in So Cal and "Frys" are the dominant electronic store for these types of things here. Seems like the poster who I am replying too was in a similar circumstance. I have not fully loaded the card but it works with the 100 MP3's that are on it now. When you start your car, how long is it taking your CF, SD or SDHC adaptor to be recognized and play music (ie 'boot' time)? Mine takes the better part of 10 seconds with the 100 songs I have loaded and I am worried it is going to get longer when I load 1000+ song. I cannot see myself being happy with a solution that takes a minute+ to start playing music when you start your car. Also, what transfer speeds are you getting on loading songs onto your CF, SD or SDHC via your laptop PCMCIA slot? My Sandisk 6-in-1 is able to hit 0.8 MB/sec and my PPA CF adaptor writes at 0.7MB/sec. Assuming an average MP3 is 6MB it takes approx 8 seconds to load a song (or 2.2 hours to load 1,000 songs). Granted, you only have to do this once (or as often as you change your music). However, the 0.7 MB/sec transfer speed of the adaptor may be causing the slow 'boot' time when you start the car. Note, I have yet to check the transfer speed of my CF when using a USB card reader and I believe it will be closer to the 20MBit/sec theoretical speed of my 133x CF. It is the slowness of the adaptor (and hence the ability of the W204 system to work quickly) that concerns me. After all, the 4GB partition on our W204 HDD would have a 20+ MB/sec transfer speed. Unfortunately on my W204 system, this partition is useless for transferring mp3's. It only wants to rip actual music CD's to this area and I have yet to find a workable solution to this limitation. EDIT: I have my songs organised by each artist having its own folder (up to 3GB so far). Load ("Boot") time does not seem to be longer when adding more folders/songs. As for quicker/slower SD/CF cards, I do not believe it matters as the PCMCIA card is likely limited to 0.7MB/sec transfer speeds and even the slowest cards are capable of faster transfers. Too bad that we cant use the HDD in the unit for storing MP3's. This partition could easily be made (a) larger, (b) faster to boot compared to PCMCIA (c) useful and (d) easier for us to use. This whole PCMCIA saga is a major PITA. i bought the exact same (from same seller too). i've no issues using it on 2gb+ sdhc cards. I have about 10-15 folders, each folder is ripped CD so about 100-200 songs. It takes the same to boot up. It doesn't start right away with CD either. However, when music starts playing you can't go another to another folder right away (still loading I guess). But then it works perfect. Switches between songs and folders almost in instant, which is much much better than switching between CD's. I do have extreme III sandisk SD card that I took out of DSLR, so that might explain the quickness. I haven't tried cheaper cards yet. I'll try to fill it up (8 GB) and try see it take any longer (right now I filled about 1 GB). EDIT: So I loaded 6.4 GB, 76 folders 1275 songs. When the radio was playing and I put the card in it took about 2-3 seconds to load and I was able to go back and forth between folders with no delay at all. Later, when I started car it took at little longer to load (5-10) sec, the regular time it takes with CD's and then it worked again like a charm. Again not sure if credit should go to faster SD card as it's from my DSLR. Last edited by NYCGLK; 06-30-2009 at 10:29 PM. Just ordered the PCMCIA slot on ebay based on the posts above, I hope you guys are right. Its only $19 with free shipping and I have ordered one today. 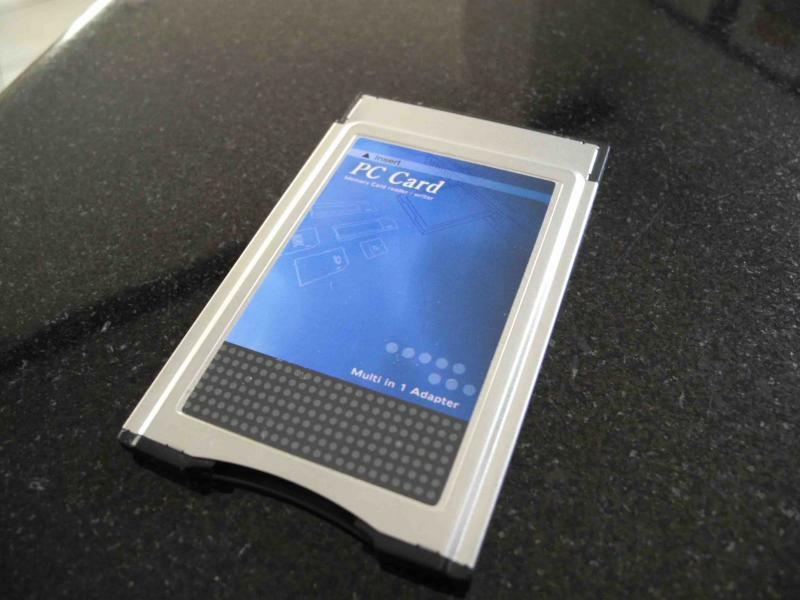 that card will work, but you're chancing with the fact that it may or may not support SDHC (2gb+) cards..
Has anyone found a reliable source of these PCMCIA SDHC cards recently? I bought one described in the post above and it doesn't work. My PC sometimes sees it if I stick an SD card in it, but not SDHC card. My car doesn't see it at all. Last edited by Pete7874; 04-28-2010 at 03:07 PM. Here is a new one..I got a W221 from 2006 and I got the 2 gb sd card to work and it plays all MP3 files but suddenly when it hits on folder it freezes. I have checked the MP3 files in the folder and they are identical to all other files and they play with no prob on my computer. What can that be?? This card doesn't work. From what I can see the MB PCMCIA reader only works with 16bit adaptors, whereas this one is 32bit. What's about this one from eBay? Anyone tried? I am having a problem with my PCMCIA adapter. 2007 S550, which I just bought from the original owner that never used this slot. I have the MB Adapter and a 2GB SD card. I converted all of my itunes music to MP3s. I put the card in the slot, the radio immediately recognizes the card and pulls up my list of music. It plays the first song at the end of the first song, it just goes idle. Wont play the next song, even if I manually select it. In fact, it wont even allow me to go back to the first song and at that point I cant even go to CD. Just FM. The only way to get back to where I was, is to turn off the car, then CD will function again and I can then play the PCMCIA card again, first song only, repeats going idle until I shut off the car again. any ideas? does it work in my w204 c350 from 2008? I also had this problem on my W221 S550. I did a telematics update to the latest version and all MP3 files worked after that. And I also got the "birdview" on the maps with the update wich I like ALOT! any preference as to which works better...the compact flash pcmcia adapter, or the SD pcmcia adapter? Maybe this is a old tread, but the card reader (to read SD or SDHC) must be 16-bit or can be 32-bit? 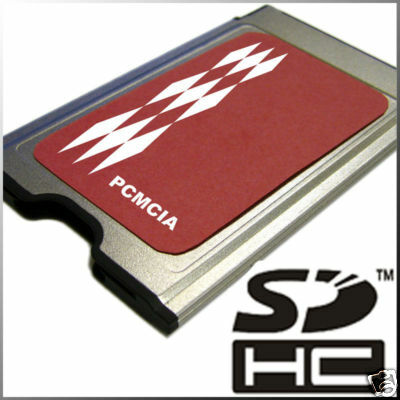 Quick Reply: List of PCMCIA adapters and Memory that works.